The Organization of Petroleum Exporting Countries (OPEC) is an intergovernmental organization (or cartel) of 15 oil-exporting developing nations that coordinates and unifies the petroleum policies of its member countries. 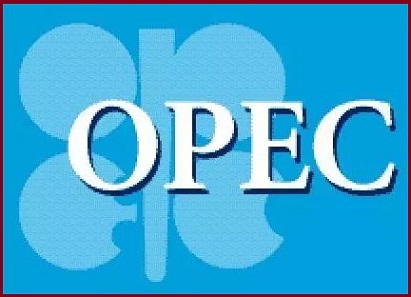 OPEC was established in 1960 in Baghdad, Iraq by the first five members. Its headquarters are in Vienna, Austria. OPEC mission is to coordinate and unify petroleum policies of its member countries and ensure stabilization of oil markets, in order to secure an efficient, economic and regular supply of petroleum to consumers, steady income to producers and a fair return on capital for those investing in the petroleum industry. OPEC member countries accounted for an estimated 43% of global oil production and 73% of the “proven” world’s oil reserves. Two-thirds of OPEC’s oil production and reserves are in its six Middle Eastern (west Asian) countries that surround the oil-rich Persian Gulf. * Asia and the Middle East: Iran, Iraq, Saudi Arabia (de facto leader of OPEC), Kuwait, United Arab Emirates and Qatar (to withdraw from January 2019).